This was SJGR's first visit to the historic Glen Foerd Mansion in the Torresdale section of Philadelphia, PA along the banks of the Delaware River. Built in 1850 by Charles Macalester, the mansion was originally named "Glengarry" after an ancestral Scottish estate. The name was changed to "Glen Foerd" at the turn of the 20th century by the new owner Robert Foerderer (the new name suggested by his daughter Florence) to honor the extensive renovations and grandiose additions to the house. The estate currently hosts both public and private events. SJGR was asked to investigate this historic estate and reveal the findings exclusively to guests of the Chills and Thrills Finale in November of 2007. The physical evidence collected consisted of a high amount of EVPs and 24 positive photos with energy orb anomalies in them. 3.35% of positive photos obtained falls within the normal range for any location, but some photos correspond to events investigators were experiencing at the time the photo was taken. 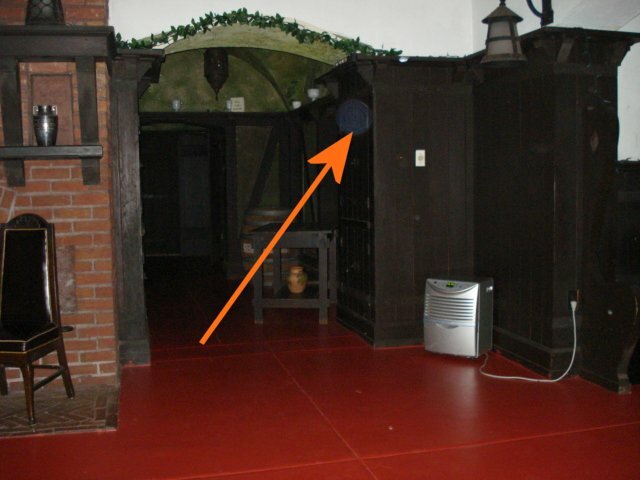 9:29pm – Investigator Bown took this photo after sensing a male presence in the Rathskeller. 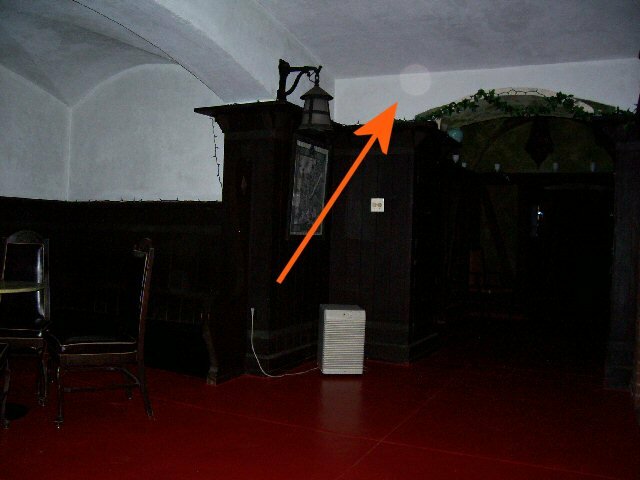 9:41pm - Investigator Carroll took this photo in the Rathskeller after she heard a man talking and Investigator Clendaniel sees the shadow of a man near Investigator Bown at the same time. 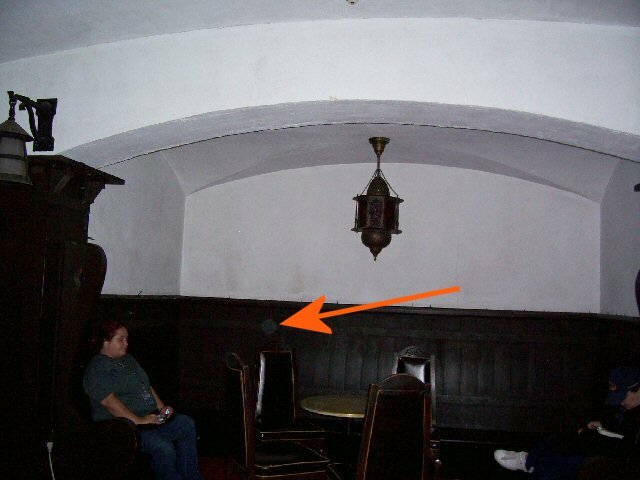 9:42pm - Investigator Carroll took this photo in the Rathskeller after she heard a man talking and Investigator Clendaniel sees the shadow of a man near Investigator Bown at the same time. 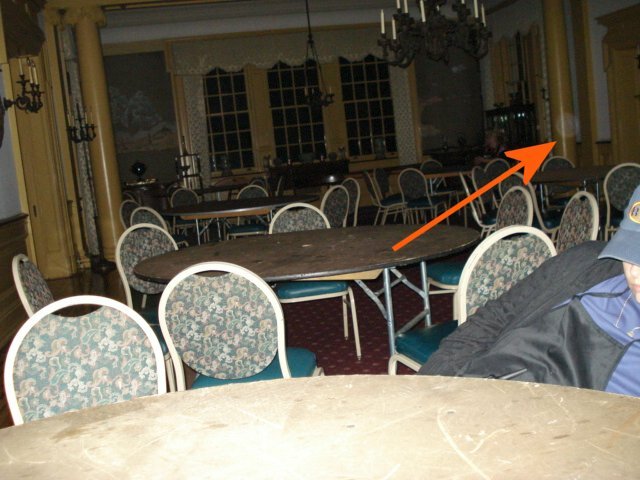 10:48pm – Investigator Bown took this photo in the Dining Room after seeing a light move from left to right.